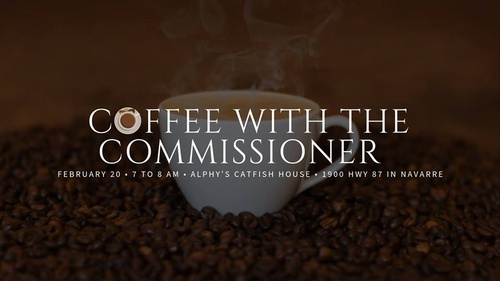 Join Santa Rosa County Commissioner Chair Sam Parker in an informal setting at Alphy's Catfish House - no appointment needed - to discuss your ideas and how to make Santa Rosa County an even better community to live, work and play. Coffee with the Commissioner is rotated monthly through the five districts in the county. If you can't join us on the 20th, subscribe to our events to be notified on the next Coffee with the Commissioner or email samparker@santarosa.fl.gov.